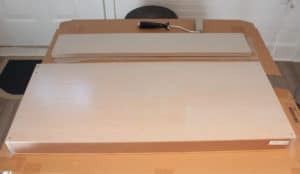 Can You Paint IKEA Furniture? If you’ve been around here a while you know I love to paint ANY and ALL surfaces. If they say you can’t paint them, trust me I’ll find a way. With that being said, can you paint IKEA furniture? Of course you can! You just need to know how to paint IKEA furniture the right way. Let me preface this post by saying not ALL IKEA furniture can be painted the same way, but probably 95% of it. I’m talking about their lovely material of choice for most of their products; heavy particle board that is covered in laminate. I’m no stranger to painting laminate. As a matter of fact, I’ve tried two different ways to paint laminate and I’ve decided that one method is the right way and the other is the wrong way to paint cheap laminate. 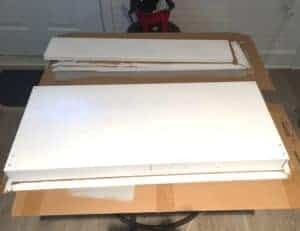 Today I will be sharing a very similar method that I used when I painted my old laminate cabinets. Don’t worry, I’ll be using the right way! A large part to making sure you paint IKEA furniture the right way is making sure you have the right supplies. Some of the links in this post are affiliate links. This means that if you purchase from one of these links I will receive a small commission but rest assured you won’t pay any more for the product. Thank you for supporting my blog. Primer– this is key. Let me say that again. PRIMER IS KEY. Nothing will adhere to your IKEA furniture without it. Paint of your choice. As long as you prime well, any paint should work (within reason). You can also use a paint sprayer. This would probably be the best option but I will be using a paint brush and paint rollers to get a smooth finish. Optional- fine grit sanding block or sand paper. This isn’t required, but a little extra “bite” to your laminate surface could help. That being said, there is a fine line to sanding laminate too much. You still want the surface to be smooth once it’s painted. I will probably NOT be sanding my project. Sealer– I love this Polycrylic water based sealer in satin. It works wonders. It’s best to paint your IKEA furniture before it’s been assembled. 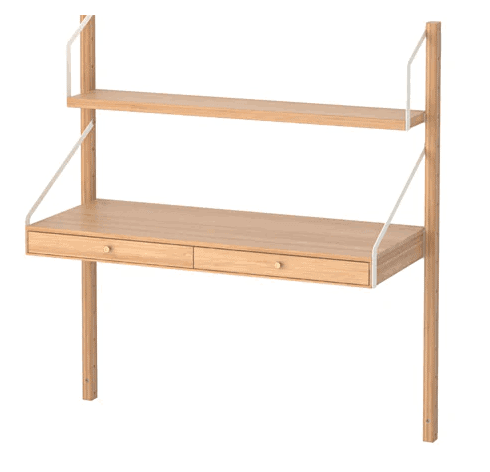 I’m currently working on a homework desk for my kiddos and I found the best desk at IKEA. Here it is in it’s unfinished glory. My plan is the paint the sides and bottom of the desk and shelf white. I’m going to leave the tops in their original finish. Also I will leave the bars that hold the desk unfinished too. I’ve already spray painted the white brackets gold to match the rest of the room. I can’t wait to show you. It’s always best to start painting a piece of furniture before you assemble it. Clean the IKEA furniture piece and make sure the surface is lint free. Paint at least two coats of Primer. My rule of thumb is to paint enough coats to where you can’t see the original finish. Once the primer is dry start painting! Apply the sealer. 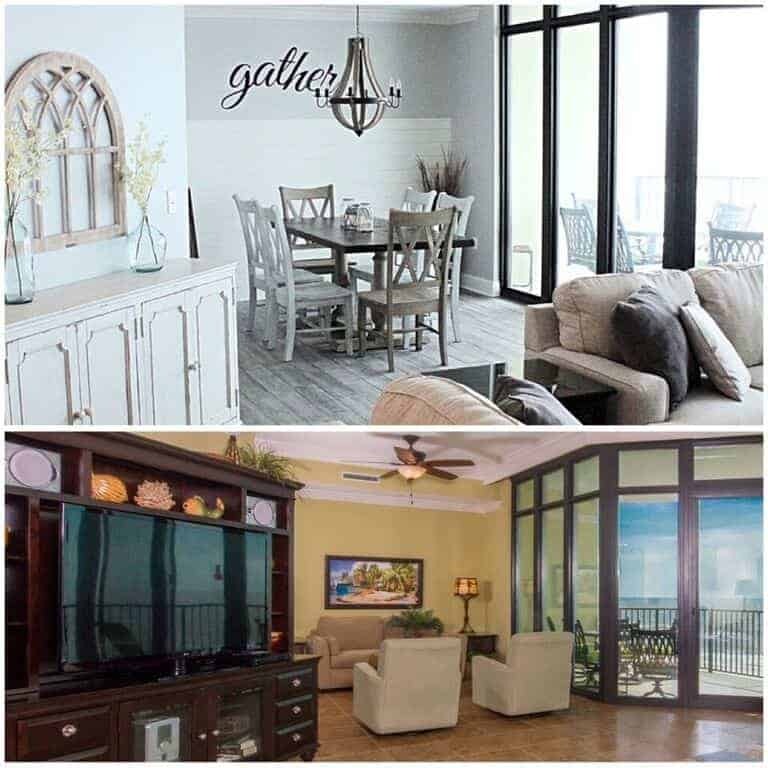 Depending on how much traffic your piece of furniture will get will determine how many coats of sealer you need. Two coats for a high traffic area and one coat for a low traffic piece. This was after the first coat of Primer. I definitely needed another coat to hide the original IKEA surface. After the second coat of primer was done it was time to paint! I chose a very generic white paint. Like I said before, if you use a good primer, I don’t think the paint needs to be anything special. Now time for the sealer. This is as important as the primer in my opinion. I swear by a polycrylic top coat in satin. I’ll share a YouTube video below of the entire process for those of you who are more visual. Want to see more of the final desk? You can see all the details HERE. 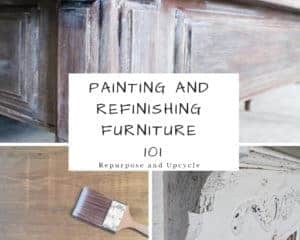 Want to see more post about Painting and Refinishing Furniture 101? Click on the picture below see a full list of post that include videos! 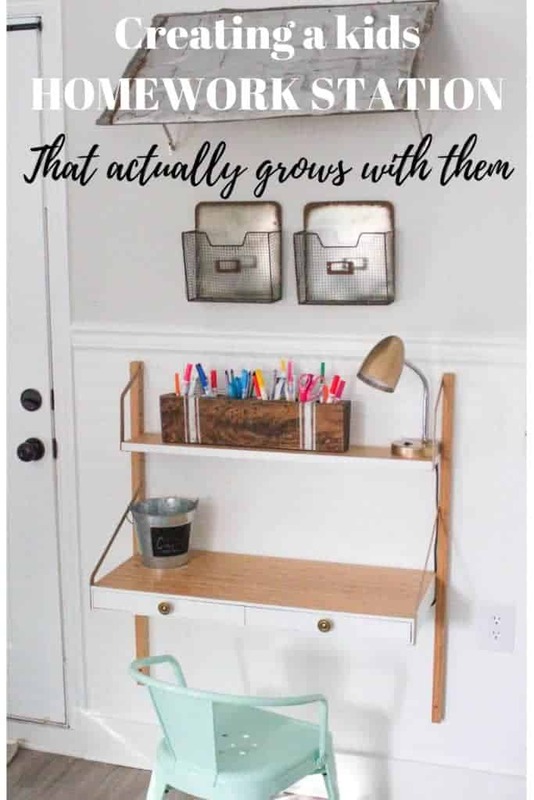 Great way to make things fit your space perfectly, down to the colours! Very helpful information shared on the Blogger’s Pit Stop. 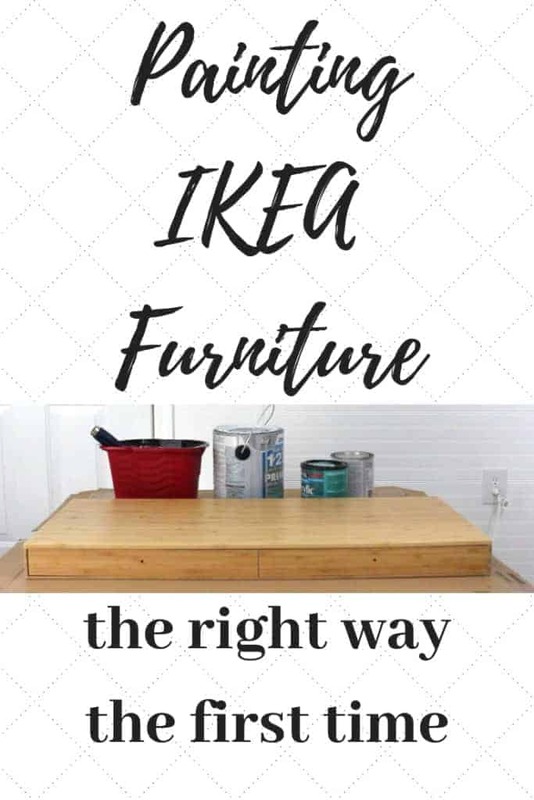 We will feature your post on the right way to paint Ikea furniture. Well done. Thanks for sharing on the Homestead Blog Hop!